Sakat Chauth is falling on Thursday, 24th January 2019. It is an auspicious day devoted to the worship of the Hindu God, Lord Ganesha who is believed to be the symbol of propitious commencements and also Goddess Sakat who is believed to abolish all troubles. This day is also known as Sankat Chauth, Tilkuta Chauth, Vakra-Tundi Chaturthi and Maghi Chathurthi. Celebrated across India, Sakat Chauth falls on the Krishna Paksha Chaturthi during the month of Magha. Sakat Chauth tithi begins at 23:59 on 23rd January 2019 and it ends at 20:53 on 24th January 2019. Married ladies in Uttar Pradesh, Haryana, Madhya Pradesh and Rajasthan observe fast on this day with a belief that all kinds of problems will be removed from their life and Lord Ganesha and Goddess Sakat would bless them with good fortune, wealth, prosperity, longevity of their husbands and well-being of their children. According to Hindu tradition, though Sakat Chauth fasting is done every month on Krishna Paksha Chaturthi but the most significant Sakat Chauth is the one which falls in this month of Magha. · Wake up before sunrise in the morning. Take a spiritual bath. 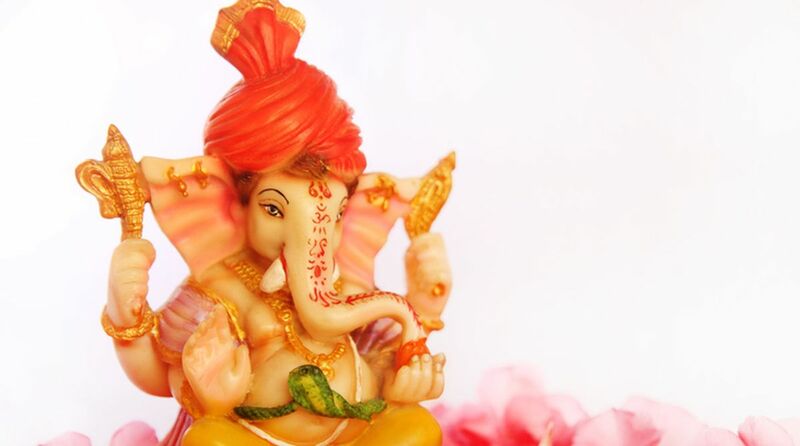 Wear clean clothes and do Ganesh pooja reciting Ganesha mantra – ‘Om Shri Ganeshaaya Namah’. · Observe a fast till moonrise. During the fasting period water, milk, tea and fruits can be consumed. Few people keep ‘Nirjala fast’ also. Keep chanting Ganesha mantra the whole day. · In the evening, make a small mandap and place Lord Ganesha’s photo or idol in it. Light a pure ghee lamp, incense sticks and keep a kalash filled with water in front of Ganesha’s picture. Offer flowers, Durva grass with three or five nodes, Til ke laddoo or Tilkut made of sesame seeds and jiggery, sugarcane and sweet potato to the elephant headed Lord. There was a money lender and his wife. They did not believe in any religion and virtue and did not have any child. One day money lender’s wife went to a neighbour’s house where she listened the story of Sakat Chauth. She asked her neighbour about Sakat Mata. Her neighbour told her about this fast and the blessings which one gets by keeping this fast. She told the money lender’s wife that people are blessed with health, wealth, children, their good health and bright future, good fortune and long life of husband and much more as a reward of keeping this fast with full devotion. Money lender’s wife thought that she would do the Sakat fast with half kg Tilkut if she gets pregnant. After some time, she got pregnant. Then she said that she will keep the fast and do 2.5 kg Tilkut if she would be blessed with a baby boy. The days went on and she was blessed with a baby boy. After the birth of this child, she again postponed the fast and Tilkut ritual till the time of marriage of her son and promised to do 5.25 kg Tilkut at that time. At the time of marriage of her son, she forgot to do fast and Tilkut. Consequently Sakat Mata and Lord Ganesha got angry. They snatched her son from the wedding vows and kept him on a Peepal tree in a nearby forest. Everyone returned back home disappointed without the groom and bride. One day the girl who was supposed to get married with money lender’s son went to the same forest with her friends for Gangaur pooja. There she heard a voice from the Peepal tree – “come my half-married”. The girl could not understand anything. She narrated this incident to her mother after going back home. The next day, the mother of the girl went to the same forest and found that the man on the Peepal tree was her son-in-law. She asked him about the whole incident. The son-in-law told that her mother forgot to fulfil her promise of keeping Sakat fast and do 5.25 kg of Tilkut at the time of his wedding. So Sakat Mata and Lord Ganesha punished them. Then the girl’s mother went to the boy’s house and reminded his mother of Sakat fast and Tilkut. Money lender’s wife prayed to Sakat Mata and Lord Ganesha and confessed her mistake. She pledged in front of them to do 100 kg Tilkut when her son would return back home safely. Sakat Devi and Shri Ganesha became happy and returned back her son. Since then people keep this fast with a firm belief that Sakat Chauth fasting will fulfil their desires as the desires of money lender’s wife got fulfilled. · After reciting this story, do Ganesha Aarti. · After Ganesha Pooja, wait for moonrise. After sighting the Moon, worship it with sesame seeds and arghya (a concoction of water and milk). After these offerings to Moon God, the fast is broken. Sometimes when Moon is not visible due to the clouds, the rituals can be performed after the moonrise timings. Lord Ganesha, the supreme Lord of intelligence symbolises the remover of all obstacles. Hence it is believed that one can get rid of all problems by observing this fast. 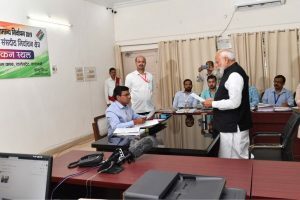 Gajaananam bhootganadi sevitam, kapitth jambuphal chaaru bhakshanam! Umaasutam shok vinaash kaarkam, namami vighneshwar paad pankajam! !